Worlds Apart Study Released Today. While nearly half (47%) of all foreign policy experts adhere to an “Indispensable America” worldview: that suggests “American leadership is necessary for global stability,” only 9.5% of the American public does. 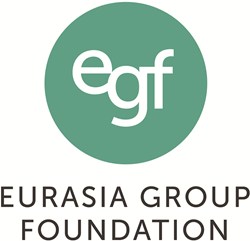 Today, the Eurasia Group Foundation (EGF) announced the release of its new study, Worlds Apart, which paints the clearest picture yet of the disconnect between American foreign policy experts and the American people on foreign policy. Authored by EGF fellow Mark Hannah, the EGF study finds that the American people desire a much more restrained approach to international affairs than is being pursued by their leaders. The EGF study is significant because it underscores why the President and American foreign policy makers must take into account Americans’ views when making decisions on conflicts like Afghanistan and Syria, as well as America’s role in the world with regards to NATO and the withdrawal of the Iran deal. The EGF Study also has outsized implications for the 2020 Democratic primary where candidates will be asked about their views on American foreign policy. More than half (54%) of Americans under 30 want the U.S. to abstain from intervening in human rights abuses: This was the age group most likely to want the U.S. to abstain from intervening in human rights abuses. If Russia attacks a NATO ally, only half (54%) of Americans think the U.S. should respond militarily: Further highlighting the divide between the American people and foreign policy experts, 95% of experts believe the U.S. should react militarily if Russia attacks a NATO ally. EGF is a nonpartisan nonprofit organization which works to connect people to the geopolitical issues shaping their world. Fostering a greater understanding of the issues broadens the debate and empowers informed engagement. EGF makes complex geopolitical issues accessible and understandable. http://www.egfound.org. Mark Hannah, Ph.D. is a research fellow at the Eurasia Group Foundation, where he leads a project exploring the benefits of a more restrained U.S. foreign policy. He is a term member of the Council on Foreign Relations and a political partner at the Truman National Security Project. He recently led a research initiative focused on global media freedom and public culture as a fellow at New York University's Institute for Public Knowledge. A veteran of the Kerry and Obama presidential campaigns, he was a regular commentator on MSNBC, FOX News, and CNBC during the Obama administration.